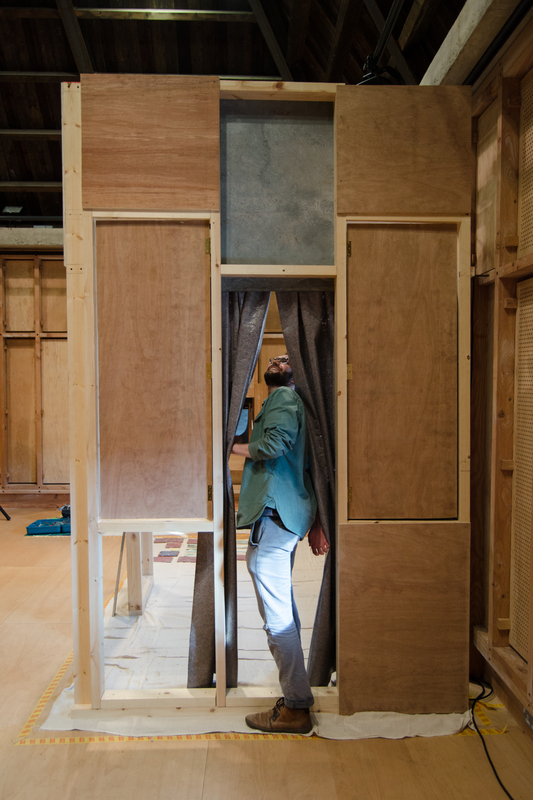 In our prototyping experiments, we sought to test the idea that the listener might be able to physically effect the chamber, altering the levels of enclosure within the chamber as well as the acoustic bleed between the parts into counterpoint. In affecting the acoustic, the listener affects their own perception of the combination of solo-parts. 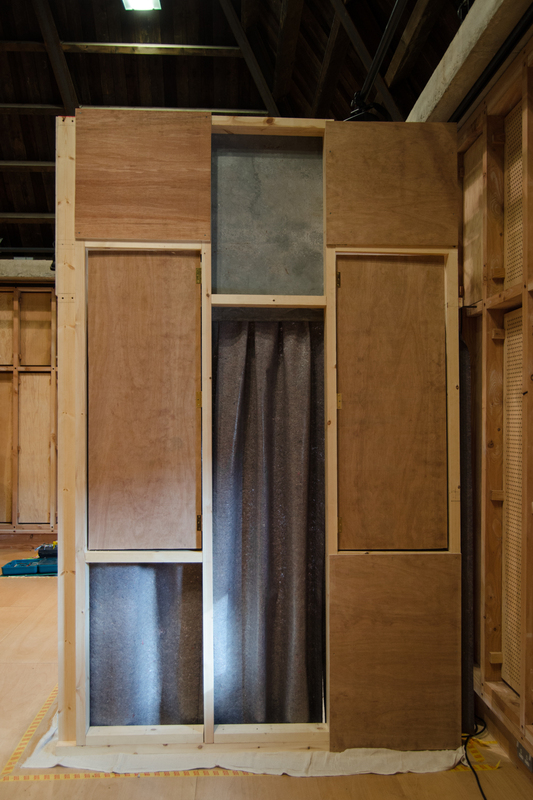 Our intention is that in engaging with the acoustic isolation of each solo part and subsequently with the piece itself reveals in part how acoustics work and the value of informal performance settings. Britten’s Young Person’s Guide to the Orchestra is didactic in terms of its intent but has integrity as a piece of art in itself. We think this is a valuable way of looking at our own project. Permutations has the potential to exist as an artwork as well as offering an interactive tool for understanding acoustic space. The below drawings represent the hypothetical soundscapes of all six chambers at two different levels of acoustic enclosure, both at the same moment in the composition.